For squirrel removal in Northern Kentucky and Cincinnati, call Tri-state Wildlife Management at (859) 635-0037. Now that the weather is colder squirrels are seeking out new places to den. Don’t let your cozy attic be one of them. Northern Kentucky and Cincinnati Squirrel Removal: The weather has turned colder, so there’s a mad rush by wildlife to finalize their plans for the winter. Squirrels are fattened, nuts are buried, and now, it’s time to find some nice, warm insulation to snuggle into. During the warm, summer months, squirrels are most comfortable residing in mature trees, but when the weather turns cold, squirrels take advantage of warmer, man-made structures. 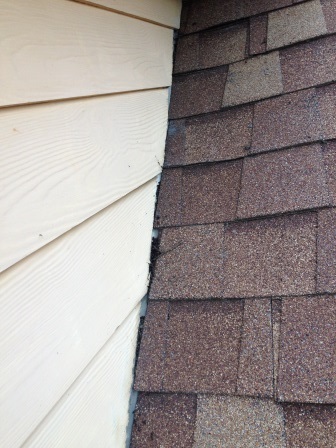 Squirrels gain access to the inside of homes (typically attics and walls) by chewing on construction material. Aside from stone, brick, and certain metals, no construction material can fully withstand the gnawing of a squirrel. Squirrels have incisors that grow continuously, and the only way to keep their teeth short and sharp is by chewing. Squirrels will take advantage of construction gaps, weakened areas, and even perfectly constructed and maintained areas on a home. It is important to point out that squirrels not only chew holes to gain access into your home, but once inside, they continue to chew. This is a serious hazard, because squirrels tend to chew on electrical wires, which can cause fire. In addition, if squirrels have access to rafters over many years, the rafters can be weakened. If you use your attic for storage and have a squirrel invasion, whatever property is stored is susceptible to damage. Unfortunately, squirrels are repeat violators – once they find a home in your home, they’ll stay there unless evicted. One of the most frustrating things for a homeowner with a squirrel issue is to repair entryways only to have a new entry chewed open by a squirrel. To prevent this situation, it is important to not only exclude violating squirrels by repairing entries and vulnerable areas, but also to trap and remove the squirrels that have made your house their home. It is important to make sure that all squirrels have excited the premises prior to making repairs. There’s nothing that can ruin a thanksgiving dinner worse than the smell of a rotting animal carcass in the attic. It is also vital to repair entries and vulnerable areas with wildlife grade construction materials to help deter future squirrel or wildlife problems. Preventive maintenance can go a long way in keeping your family and property wildlife free this winter. Tri-State Wildlife Management offers affordable, but thorough, home inspections that can identify wildlife entries and potential entries. As a full service company, TSW offers exclusion, wildlife deterrent chimney cap installation, repairs, trapping, and removal. In addition, TSW educates customers on how to prevent future attempts by wildlife to enter your home, including habitat modification. The amount of mature trees in Northern Kentucky and Greater Cincinnati suburbs make the area a squirrel haven. Squirrels can enjoy the coolness of a tree den site in the warmer months, an abundance of tree nuts in the fall, and nearby home attics provide squirrels with a comfortable den for the winter. Call Tri-State Wildlife Management if squirrels have invaded your home for the winter, or call for a preventive home inspection. TSW is fully licensed and insured, and we stand behind all our work. Northern Kentucky and Cincinnati Squirrel Removal: Call Tri-state Wildlife Management Today at (859) 635-0037. Newport, KY Bat Removal (41071): In the Newport, KY area, bats typically hibernate the winter long, the exception being warmer winter days, when you may spot a bat(s) outside. Bats often take advantage of the comfort of attics and chimneys, both in the winter and the summer. Crevices of homes make perfect hibernation spots in the winter and maternity colonies or roost sites in the summer. With spring right around the corner, now is the time to begin thinking about taking care of any bat issues you have had in the past. If you had a bat problem last year, you will have one again this year. 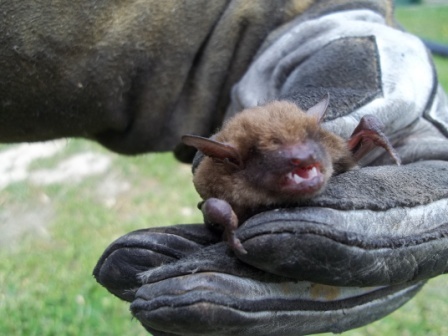 Springtime is a good time to remove and exclude bats from your home or business – bats will be out of hibernation, but juveniles will not be born until May. Juveniles may be born as late as July. Once May comes around with the potential for young, full bat exclusion falls into a blackout period. During this time, construction gaps and secondary entries can be repaired on structures, but it is important to always keep a main entry open for bats to fly in and out. Even if you think you’re sure all bats are out, juveniles too young to fly can still be present in the structure. Sealing them in is both a major legal and ethical issue, as well as a smelly one for homeowners. Total bat exclusion can restart again usually in mid to late August, but the date fluctuates from year to year. Tri-State Wildlife Management always checks with the Kentucky Department of Fish and Wildlife Resources bat biologist before starting full bat exclusion in the late summer/early fall. For raccoon removal in Highland Heights, KY or anywhere in Northern Kentucky, Cincinnati, or Southeastern IN, call Tri-State Wildlife Management at (859) 635-0037. Highland Heights, KY Raccoon Removal: Raccoons, squirrels, and other wild animals are hunkering down in warm den sites for the cold winter. Raccoons leave the comfort of their den sites at night to scavenge for food. If you have a raccoon in your attic, you may hear the leaving and returning of it throughout the night. If there is an extreme cold spell, raccoons will not venture outside. This has led to a few current customers reporting that it sounds like a football game is going on in their attic all night long. Raccoons living in close proximity to humans often take advantage of man made structures for shelter, especially in the winter. Any man made structure is susceptible to a raccoon invasion, including sheds, garages, warehouses, etc. Houses are not immune, and raccoons often live in soffits, attics, chimneys, and crawl spaces. It’s surprising to some customers, but raccoons can gain access to roofs very easily. Raccoons are excellent climbers, and they can climb up houses without much trouble. Once a raccoon is on a roof, how does it get in? 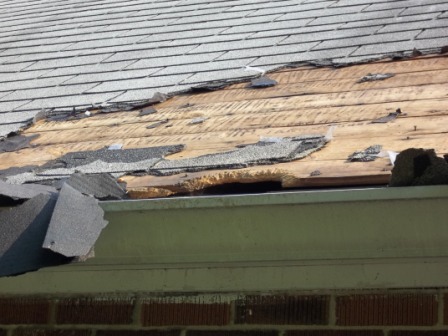 Unfortunately, raccoons are also great at ripping apart construction materials including shingles, gutters, soffits, etc. The same abilities that allow them to sift through garbage cans and pry containers open aid them in gaining access to the inside of your home. 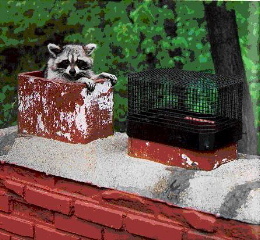 A raccoon can take a seemingly perfect home and gain entry if so determined. This causes quite the headache for homeowners, especially since so much time and effort is put into keeping a house beautifully maintained. The destruction does not necessarily stop once a raccoon has gained entry into your home. Raccoons tear up insulation and storage. Also, they create foul latrines that can cause all sorts of problem. Raccoon feces can carry raccoon roundworm. Also, the smell of raccoon urine and feces can permeate into the living quarters of a home. If raccoons in an attic are left unchecked long enough, latrines can create weak spots and discoloration. Eventually, a latrine can cause a ceiling to collapse. In addition to the health concerns discussed already, raccoons are also hosts for mites, ticks, and fleas. 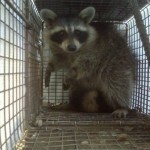 A raccoon issue should be taken care of sooner rather than later for two important reasons. First, to prevent additional damage. Tri-State Wildlife Management initiates an Integrated Wildlife Management Program beginning with an inspection and customer education, followed by removal of intrusive wildlife and repair of wildlife damage. The second reason to take care of a raccoon problem now rather than later is, springtime is baby time. If a female raccoon has taken up residence in your home, babies are likely to follow come sometime between late February to June. (As a side note, juvenile raccoons have been found year round, but the majority are born February to June.) Once juveniles are born, TSWM canvasses your attic determined to find them. TSWM also offers prevention, restoration, and cleanup services. Cleanup services are tailored to fit the needs of individual customers and individual situations. Sometimes cleanups are as simple as spot removal but can be as extensive as a full attic clean out which entails ridding the attic of all insulation. As a full service company, TSWM will take care of your wildlife issue from start to finish. 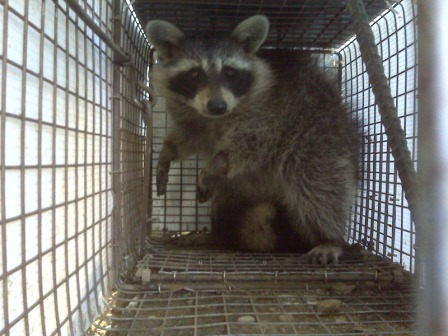 Highland Heights, KY Raccoon Removal: For raccoon removal in Northern Kentucky, Cincinnati, or Southeastern IN, call Tri-State Wildlife Management at (859) 635-0037. For mouse removal in Newport, KY or anywhere in Northern Kentucky, Cincinnati, and Southeastern Indiana, call Tri-State Wildlife Management at (859) 635-0037 or (513) 853-0037. Newport, KY Mouse Removal: Mice live just about everywhere, and they often choose to live in man-made structures such as houses, apartment buildings, office buildings, warehouses, or sheds, just to name a few. When customers call Tri-State Wildlife Management with a mouse issue, it may be because they hear noises in their walls, duct work, ceiling, or attic. TSWM can determine what type of wildlife you are dealing with. On rare occasions, TSWM receives calls from customers who know for sure that they have a mouse/mice problem, based on droppings, crumbs, and chew marks in food or other materials. It can be a little unsettling to find evidence of mice in your home or office, and when you do, you want to get rid of them right away. Tri-State Wildlife Management will take care of your mouse problem. TSWM completes a house inspection to determine where the mice are located and where best to set up to trap them. TSWM never uses chemicals or pesticides of any kind to resolve a mouse issue. TSWM also educates customers on how to deter mice from their home or office through habitat modification. Some of the most important changes to consider are keeping enticing foods (bird seed and pet food, too) tightly packaged and making potential nesting materials unavailable. After the home inspection and setup, traps are monitored and/or checked until the customer and TSWM know the mouse issue has been resolved. For Newport, KY Mouse Removal or mouse removal anywhere in Northern Kentucky, Cincinnati, and Southeastern Indiana, call Tri-State Wildlife Management at (859) 635-0037 or (513) 853-0037.